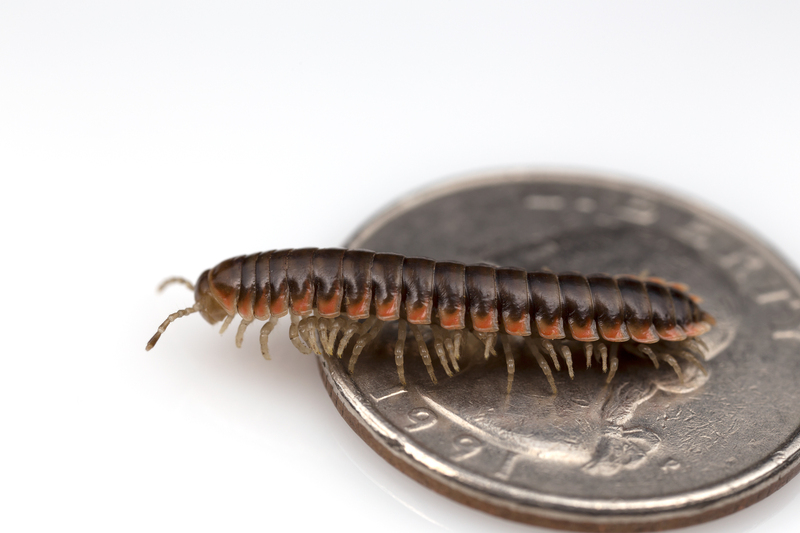 The United States contains a fantastic diversity of millipedes, with a biodiversity hotspot in the Appalachian Mountains. Millipede diversity and abundance is particularly high in the limestone rich mountains and hills, perhaps because these millipedes incorporate calcium carbonate as a component of their rigid exoskeleton. Unfortunately, these limestone hills are also the target for the destructive mining practice of mountain top removal, which threatens the habitat of many narrowly endemic species. An important part of my research is describing biodiversity. The mainstay of this project is the revisionary monograph. For example, we recently completed a revisionary monograph of the mimic millipede genus Brachoria in the Appalachian Mountains, which contains descriptive taxonomy and molecular systematics of 34 species, 10 of which are new to science. As part of a long-term project to study the systematics and biology of the millipede family Xystodesmidae, we plan to revise the millipede genus Nannaria, which has been estimated to compose 200 species. However, only 25 of these are currently named. These undescribed species occur throughout the Appalachian Mountains. This project’s primary goal is to provide a revisionary synthesis of the genus Nannaria. This involves (1) comprehensive databasing of museum collections; (2) fieldwork across Appalachia to obtain specimens for molecular systematics; (3) estimation of the evolutionary history of the genus using molecular phylogenetics; and (4) construction of a research project website, including online keys for identification, images, and illustrations. We are also conducting revisionary taxonomic work on the following genera: Apheloria, Appalachioria, Rudiloria and Pseudopolydesmus. Each of these genera have many new species to name and fascinating biological stories, for example Pseudopolydesmus fluoresces red and Appalachioria is a member of several as-of-yet undocumented Müllerian mimicry rings in Virginia. This research is supported by National Science Foundation Systematics and Biodiversity Science grants (DEB 1256139 and DEB 1655635). Bioluminescent aposematism in millipedes. In the Sierra Nevada Mountains of California, bioluminescent millipedes scatter upon the forest floor, resembling a starry sky. The most remarkable feature of these millipedes is their ability to glow at a wavelength of 495 nm. This is the only known instance of bioluminescence in the entire millipede class Diplopoda, occurring only in eight species of the genus Motyxia, which are endemic to a very small sliver of the Sierra Nevada Mountains. Our current research program investigates the evolutionary circumstances under which this unique adaptive innovation arose. The current research addresses bioluminescence as a key innovation, which triggered an evolutionary jump to a unique ecological niche and accelerated diversification in the lineage. This project involves field work in the mountains of California, molecular systematics and measurement of aposematic traits, for example reflected color, bioluminescence, cyanide immunity, wound healing, and anatomical features of the millipede exoskeleton. This research is supported by a National Science Foundation Systematics and Biodiversity Science grant (DEB 1119179). Marek, P.E. & Moore, W. (2015). Discovery of a glowing millipede in California and the gradual evolution of bioluminescence in Diplopoda. Proceedings of the National Academy of Sciences, USA. 112, 6419-6424. Marek, P., Papaj, D., Yeager, J., Molina, S., & Moore, W. (2011). Bioluminescent aposematism in millipedes. Current Biology, 21(18), R680-R681. Marek, P. E., & Bond, J. E. (2009). A Müllerian mimicry ring in Appalachian millipedes. Proceedings of the National Academy of Sciences, 106(24), 9755-9760. Means, J.C., E.A. Francis, A.A. Lane, P.E. Marek. (2015). A general methodology for collecting and preserving xystodesmid and other large millipedes for biodiversity research, Biodiversity Data Journal, 3: 1 – 17. Marek, P. E. (2010). A revision of the Appalachian millipede genus Brachoria Chamberlin, 1939 (Polydesmida: Xystodesmidae: Apheloriini). Zoological Journal of the Linnean Society, 159(4), 817-889. Marek, P. E., Shear, W. A., & Bond, J. E. (2012). A redescription of the leggiest animal, the millipede Illacme plenipes, with notes on its natural history and biogeography (Diplopoda, Siphonophorida, Siphonorhinidae). ZooKeys, (241), 77.